Lisa Camillo Satta (MA Int Dev) is a passionate human rights-driven director and anthropologist. Born from a Sardinian mother and Australian father, she grew up between Sardinia and Rome, until she moved permanently at twenty years old in Australia. After her degree in Criminology at Melbourne University, she completed her Master in Anthropology, specialising in International Development. Working with the Australian government on Aboriginal Health, gave her a great insight into Aboriginal culture and communities, and strong ties to this culture. Lisa has won several community health project awards for her work in developing and implementing community-based programs and activities to increase health awareness among Aboriginal communities and her work has been published in health magazines and international conferences. Lisa then completed the Diploma in Film and Media from Sydney Film School, where she won several awards for her films and her commitment. She is a natural and intuitive director with a clear and original vision of the projects she creates and is involved with. She's a skilful director, producer, script writer and cinematographer. Deep, meaningful and heart-felt, her work is poetry meeting visual experience. One of her best work is Live Through This which won three awards and was nominated to ten international film festivals. Lisa Camillo Satta (MA Int Dev) e’ un’appassionata regista ed antropologa, Sardo-Australiana. Di madre sarda e cresciuta in Sardegna sino ai vent’anni, prima di trasferirsi permanentemente a Sydney, Australia. Dopo essersi laureata in Criminologia a Melbourne ha conseguito un Master in Antropologia, specializzandosi nelle tematiche sociali dei paesi in via di sviluppo. Lavorando per lo Stato Australiano, ha lavorato in diretto contatto con le comunità Aborigena che le ha dato una vasta conoscenza ed un forte legame con la loro cultura. Ha ricevuto numerosi premi per il suo impegno ed ingegno nel progettare programmi per la prevenzione delle malattie sessuali tra i giovani Aborigeni. Ha successivamente conseguito il Diploma di Film e Media alla Sydney Film School, dove ha vinto diversi premi per i suoi film e per il suo impegno. E’ una naturale ed intuitiva regista e cinematografa, vincitrice di diversi premi per i suoi film e documentari. Ha una forte visione e sensibilità cinematica, che fonde emozioni ed immagini con precisa attenzione al dettaglio. I suoi film sono vere e proprie poesie visive. Uno dei suoi migliori lavori e’ Live Through This, che ha vinto tre premi ed e’ stato nominato per dieci film festivals internazionali. Viv Scanu ACS is a Director of Photography, resides in Sydney Australia and works as an active cinematographer, specialising in high end Television commercials, Network Promo’s, Music Videos and Television content for both the local and international markets. He is also the founder of Red Apple Camera Rentals Pty Ltd, a leading camera rental facility in Sydney, Australia. Red Apple will be providing an array of equipment for this project. Viv has worked his way through the film industry ranks and has had the privileged to work on Australian films with some of Australia’s best cinematographer such as Oscar winner, Russell Boyd ACS ACS, Peter James ACS ASC, Mandy Walker ACS, ASC, Steven Windon ACS just to name a few. Viv has a great eye for detail and strong passion for story telling which keeps him constantly working and in demand. Viv Scanu e’ un direttore della fotografia Sardo-Australiano, specializzato in contenuti televisivi, pubblicitari e video musicali, sia Australiani che internazionali. Viv e’ anche fondatore e proprietario di Red Apple Camera Rentals Pty Ltd, un’impresa che noleggia attrezzature per produzioni di film Australiani ed Americani. Ha lavorato con i migliori direttori della fotografia e vincitrici di Oscar, come: Russell Boyd, Australian Cinematographers Society (ACS), Peter James ACS, Mandy Walker ACS, Steven Windon ACS, etc. 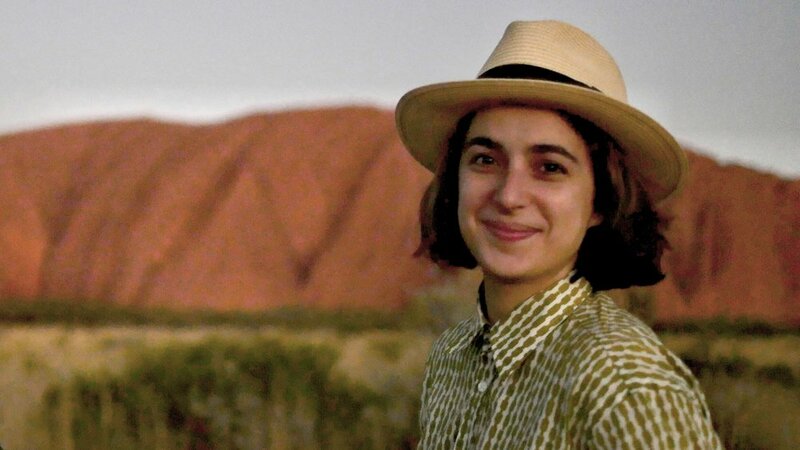 Louise Massignat is an editor and film maker based in Sydney Australia. Her enthusiasm for story-telling is matched only by her total dedication to the craft of editing and visual effects. Louise has applied her skills to genres ranging from short films to documentaries and reality shows in both France and Australia. Educated at La Sorbonne and Lycee Jacques Prevert, she has a thirst for adventure and a love of the big (and small) screen. 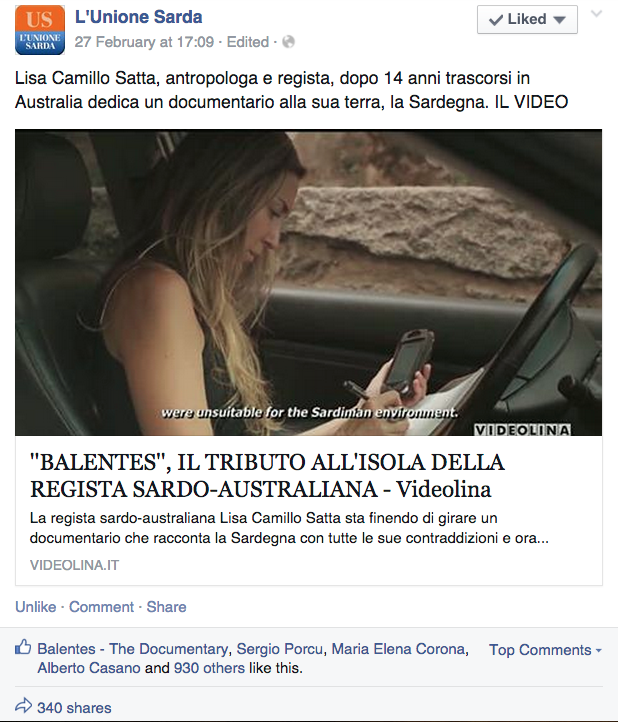 Balentes is Louise’s first documentary feature film. Alicia Walsh is a professional Screen Writer and Script Editor with a Bachelor of Arts in Film and Television as well as a Master of Arts in Creative Writing. Alicia has over 20 years experience in film writing and has worked on numerous widely known productions including "The Turning" based on the Tim Winton short story, "Wonderland" for Channel 10, "Dance Academy" for the ABC and "Home and Away" for Channel 7. Alicia trains Diploma of Screen and Media students in Writing Character and Script Editing. She is also a script mentor and Thesis trainer. 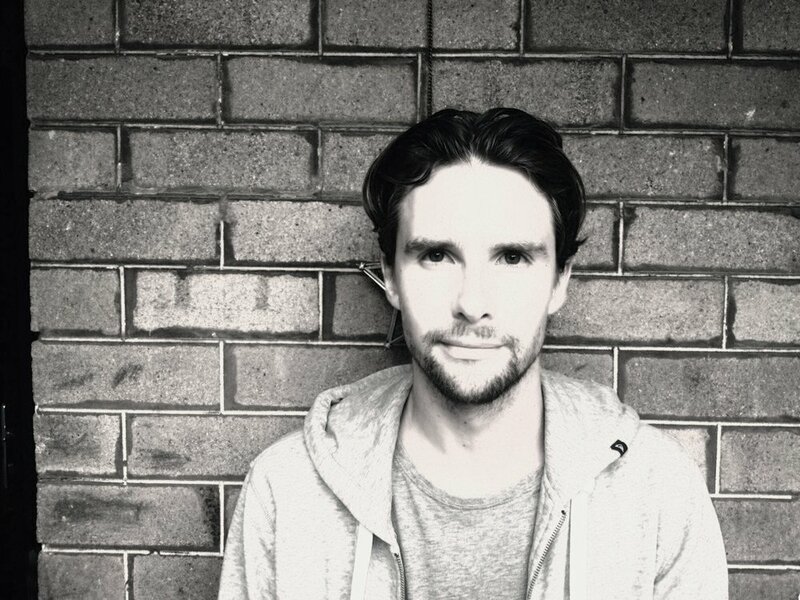 Chris Morton is a 30 year old Writer, Director and Producer based in Australia and New Zealand. He is currently working for Australia's Nine Network in Television Presentation as a Co-ordinator. He has many years experience in the industry and cites his father's influence for igniting his passion into film. Chris has written and directed several shorts (including Relationship Status) he has acted and worked in various different roles since a very young age, first appearing in Bill Bennett's critically aclaimed A Street To Die in 1985. Chris attended Australian Film Television and Radio School and completed a Masterclass in Directing with Rowan Woods, (Little Fish) has a Diploma IV in interactive Multimedia and is an experienced 3D generalist. 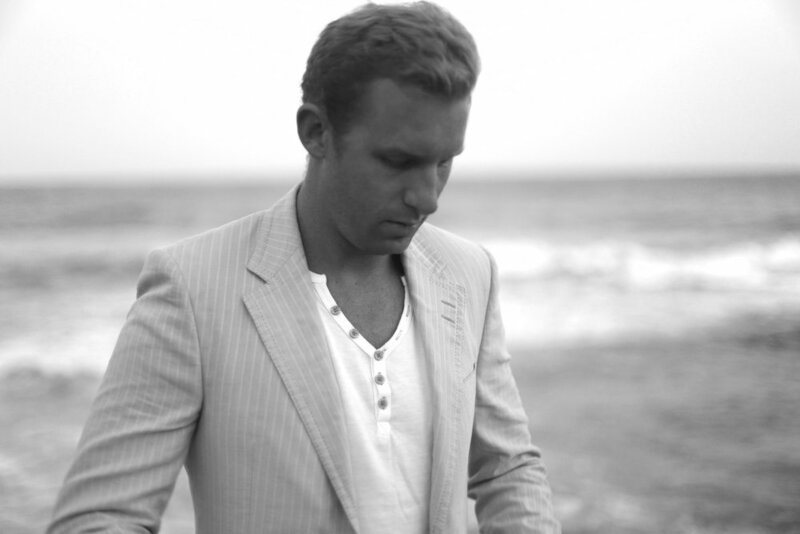 Jesse Dampsey is an extremely talented music composer that composed the music of Balentes. Jesse has composed music for 2 feature films, over 50 short films, 10 documentaries and several advertisements. At the age of 26 his music has been played in festivals all over the world, and his output has gained him 'Best Composer' at the SFS film festival in Sydney for 2 years running. After several years in India studying traditional music and orientating curricular musical activities, Jesse has become fast and efficient at producing original creative material.